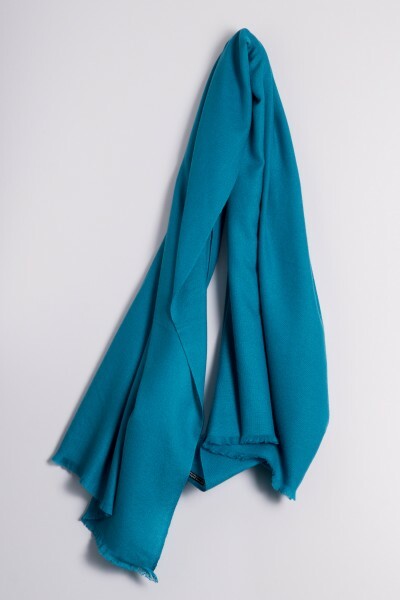 Product information "Pashmina 100% Cashmere petrol"
A stole (90 × 200 cm) made of 100% pure cashmere – it sounds as luxuriously soft as it feels. The loose weave with subtle hem guarantees comfort. You will never want to take it off. Whether you are visiting the theatre, attending a party or enjoying a cool summer evening on the terrace, you are sure to appreciate the understated luxury. Related links to "Pashmina 100% Cashmere petrol"